No matter how eclectic music tastes can get, there’s always something to be said for artists who give traditional genre lines a boisterous middle finger. The Upperclass Men are an example of what happens when boundaries set by genre typecasting are shattered in favour of a mind-rattling live show. Hitting the road after the release of their Parachutes EP, Southern Ontario is about to get a taste of rap-rock whiplash in an unforeseen way. 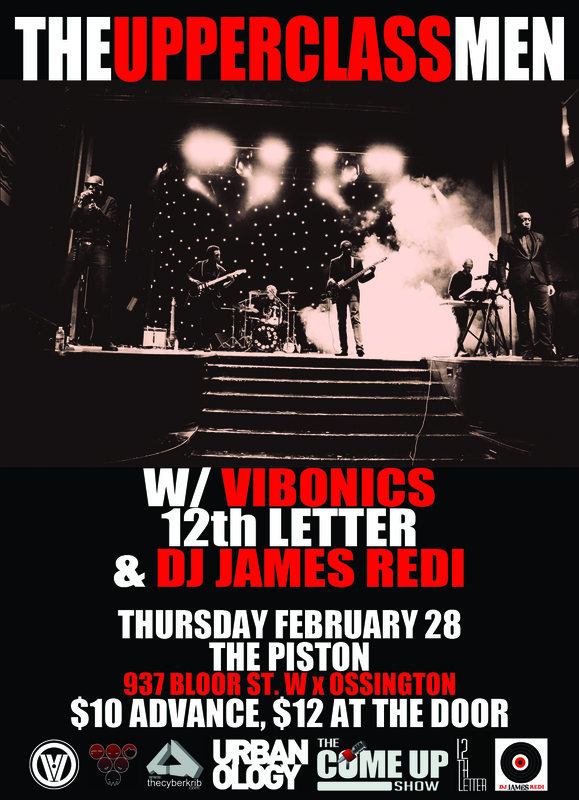 Joined by Toronto’s own hip hop fusion band Vibonics on the tour, the Toronto show will also feature a performance by 12th Letter and music by DJ James Redi.